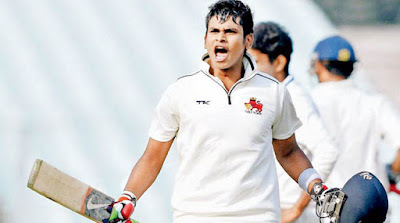 The ongoing season of Ranji Trophy is being played on neutral venues. 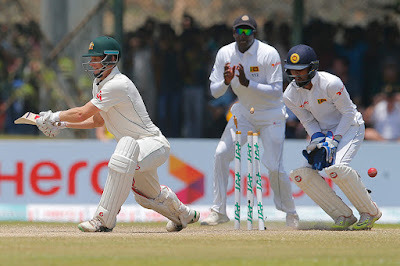 Before the season started, there was this huge portion of uncertainty as to whether the batsman would be able to adjust on tracks which were foreign in nature in spite of being at home. 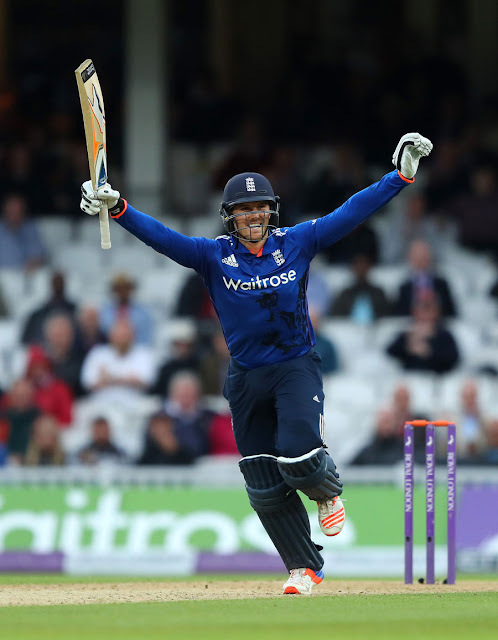 Putting all speculations aside, five batsman rose to the occasion during the tournament. 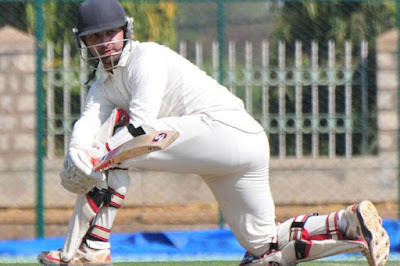 This piece of writing is not about the batsmen who scored the fastest century or 1,000 runs in the season, but it is about batsmen who toiled on the 22 yards hard and long for their respective maiden triple centuries or the 'Big Daddy Hundreds'. 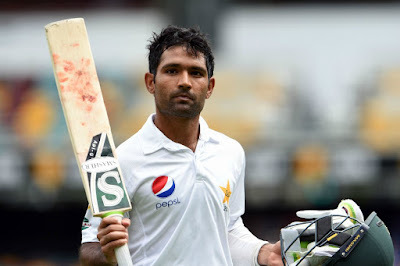 Preview: Boxing Day Test - AUS vs PAK. New Zealand would want to start afresh ahead of the ODI series. The fact they played an ODI around 250 days ago and 13,000 km far from Dharamsala best describes their need to take a fresh start. Apart from these numbers, there is one name which they might miss in this series. Brendon McCullum was still leading the side the last time they played an ODI against Australia in Hamilton. This will be Kane Williamson's first ODI series for New Zealand as full-time captain. But it is easier said than done. They are playing against India in India. A situation which recently handed them a 3-0 whitewash in the test series. Playing without their key players such as Ravichandran Ashwin, Ravindra Jadeja, Shikhar Dhawan, Lokesh Rahul, Mohammad Shami etc., things are not that sorted for India as well. The home team is likely to play with a bunch of youngsters who will be guided by the likes of captain MS Dhoni, Virat Kohli, Rohit Sharma and Ajinkya Rahane. Players and people will be hoping that the rain does not play a spoilsport in the 3rd ODI between Bangladesh and England in Chittagong. The reason is perhaps same for both the players and the people. The series is parked 1-1 at the moment with only one match to go. If the players want to win that match to grab the series, people want to watch that happen. Here is a list of Top 5 wicket-keepers to keep an eye on during the 83rd edition of the Ranji Trophy which begins a day after tomorrow. Only those wicket-keepers have been included who have not represented India in any format. 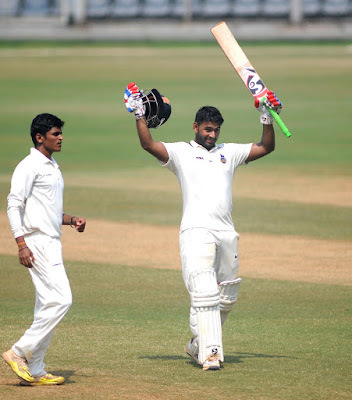 Here is a list of Top 10 batsmen to keep an eye on during the 83rd edition of Ranji Trophy which begins a day after tomorrow. Only those batsmen have been included who have not represented India in any format. It is very infrequent for an international team to tour a nation twice in a year. Having said that, Australia is already in South Africa for an ODI series. The visitors travelled to the same destination earlier this year in March for a 3-match T20I series. The first ODI of the five-match series is all set to unfold in Centurion tomorrow. The home team looked stronger on paper but AB de Villiers' egress due to an elbow injury has put both the teams at the same level. Such is the stature of the man. Temba Bavuma must feel unfortunate to miss out on this series especially after scoring a ton in his debut match against Ireland. Quinton de Kock and Hashim Amla are most likely to open the innings for the Proteas. Faf du Plessis will lead the side in de Villiers' absence. 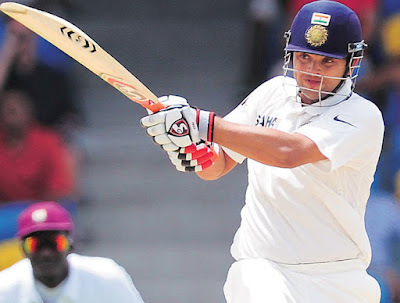 The 32-year old right-hand batsman will bat at No. 3. 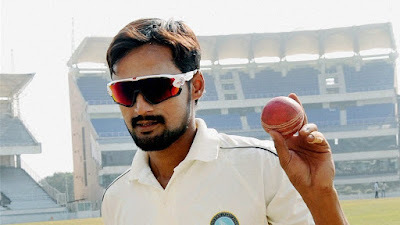 Here is a list of the big names which have switched to a different state (team) ahead of the 83rd edition of the Ranji Trophy. A crisp T20I series in Florida was perhaps the best way to terminate India's tour to the West. The host team, West Indies, is ranked No. 3 on the ICC T20I rankings. India, on the other hand, is just one place above them at No. 2. When it comes to the paper, West Indies looks way hefty than India. The presence of all-rounders who fancy the shortest format of the game along with their depth in batting is their principal might. One of the reasons for them being the current 'Champions' of the format.The last time West Indies played a T20I was close to five months ago. The current team is somewhat similar to the one that played in the World Cup. However, the focal point will be Carlos Brathwaite. The 28-year old and 8 T20I's experienced all-rounder is the new captain of the team which obviously means that Darren Sammy will no longer lead the side. The fact that he has been handed the axe as a player as well is hard to digest. 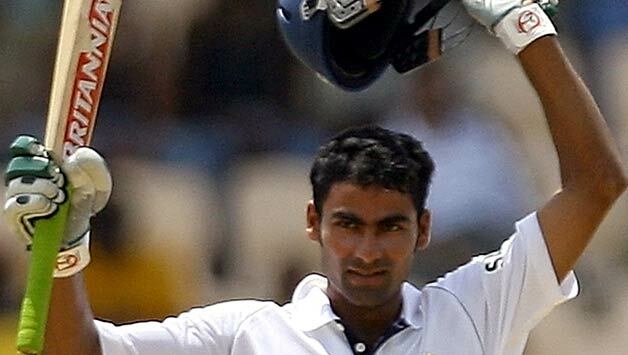 Preview - Duleep Trophy - India Green vs India Red. The Indian domestic season 2016-17 will kick-start with the Duleep Trophy being played in the Greater Noida International Cricket Stadium tomorrow. The tournament has been remoulded from it's original structure which incorporated five teams which represented five different zones of the country respectively. This year the tournament will be played amongst three teams, namely India Blue, India Green and India Red. Every team will get a chance each to lock horns against the other teams which will eventually lead to the final. Apart from the change in format, the focal point of this tourney is that it will be played with a pink ball under lights. The transmogrification the ball in cricket's ancestral format will happen for the second time in India. Earlier this year, the final of the Division 1 tournament between Mohun Bagan and Bhawanipore in West Bengal was played with the pink ball. 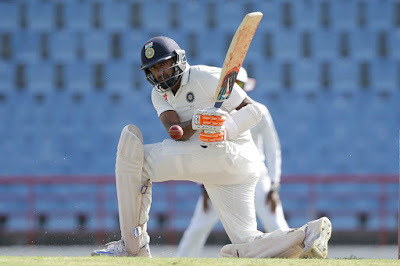 Before the onset of the match, Indian skipper Virat Kohli hinted at playing two out of the three openers which for most people meant that Cheteshwar Pujara would retain his place. Came the toss and Kohli announced that he will send in the same opening pair (Shikhar Dhawan and Lokesh Rahul) from the last match. 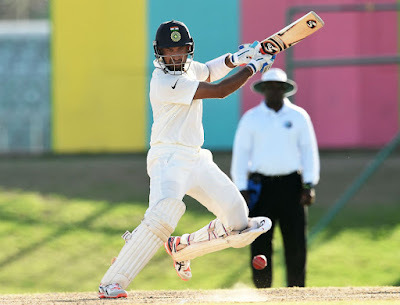 The catch was that Rohit Sharma was included in the squad at the expense of Pujara. 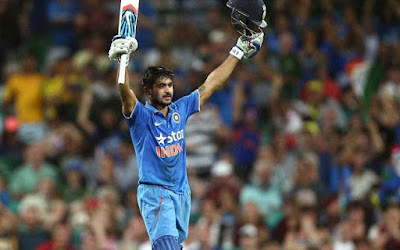 Sharma, 29, who is not tailor-made to bat at No. 3 in test matches was brought in at No. 5. His inclusion in the team came at the outlay of the whole middle order being shuffled. Someone of the value of Murli Vijay was also not included in the test eleven, which baffles everyone. Even Ravindra Jadeja and Bhuvneshwar Kumar were included in place of Amit Mishra and Umesh Yadav. Do conditions really change the ambiance of a cricket match? Some might say yes, some might say no, and the argument has it in it to continue throughout the day. Imagine the result of a contest between the No. 1 team and the No. 7 team? Now, imagine the same with respect to home conditions in the game of cricket. 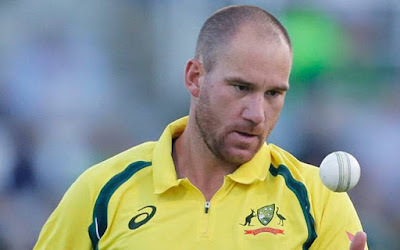 Visualize the result of a test match between Australia (No. 1) and Sri Lanka (No. 7) being played in Australia? But this day and age are watching the match being played in Sri Lanka. Chance of a turnaround? Big time yes! 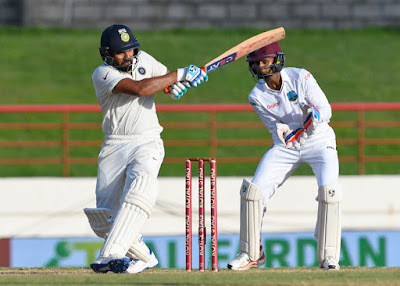 Preview - 1st Test - WI vs IND. The last time India played a test match was some seven and a half months ago. The last venue (New Delhi) that they played in is some 13,000+ km away from Antigua. Such has been the change in time. India won the test series 1-0 during their last tour to the island nation in 2011. With a total of four test matches being played this time, the team under the new coach, Anil Kumble, would be looking for series a win with a larger margin. 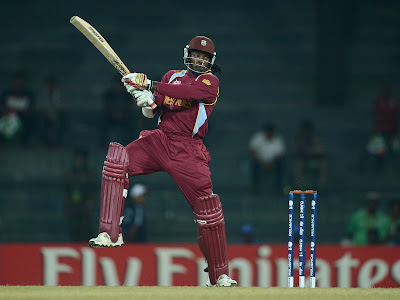 On the other hand, West Indies would want to replicate their performance from the shortest format. It is easier said than done. But this would be the main motive of the home team. They have it in them to dominate the ancestral format of the game. It is just a matter of time. Review - The Investec Series - 1st Test. 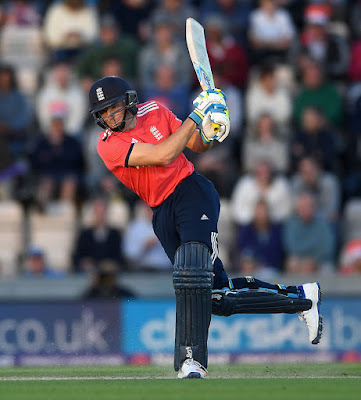 Review - ENG vs SL - One-off T20I. Prior to the onset of this tour, Sri Lanka would have been banking on their glorious tour of England in 2014. They did the unexpected in 2014 but failed to do the expected this time around. Their recent loss in the one-off T20I meant that the visitors will end the tour without a sole win across formats. Angelo Mathews, Sri Lankan captain, won the toss and decided to bat first in Southampton. Kusal Mendis, Nuwan Pradeep and Malinda Bandara were handed debuts. On the contrary, England included Liam Dawson and Tymal Mills as debutants. Sri Lanka once again sent Kusal Perera and Danushka Gunathilaka to face the new ball. Chris Jordan started the proceedings for England. The first change bowler in Liam Plunkett was brought in as soon as in the third over. The change immediately worked for Eoin Morgan as Perera's mistimed pull went straight into the hands of Mills as short fine-leg.